Well, spring season has already arrived. Sun is shining at its peak, you can hear the bird songs all around you. The sky has become pretty clear, what are these all signs about? This is actually telling you that yess this is the most appropriate season if you want to make a herbicious garden. 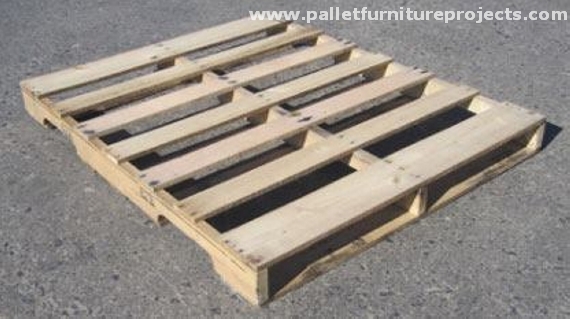 And we are going to help you in this matter with a generous heart by offering our great wood pallet herb idea. 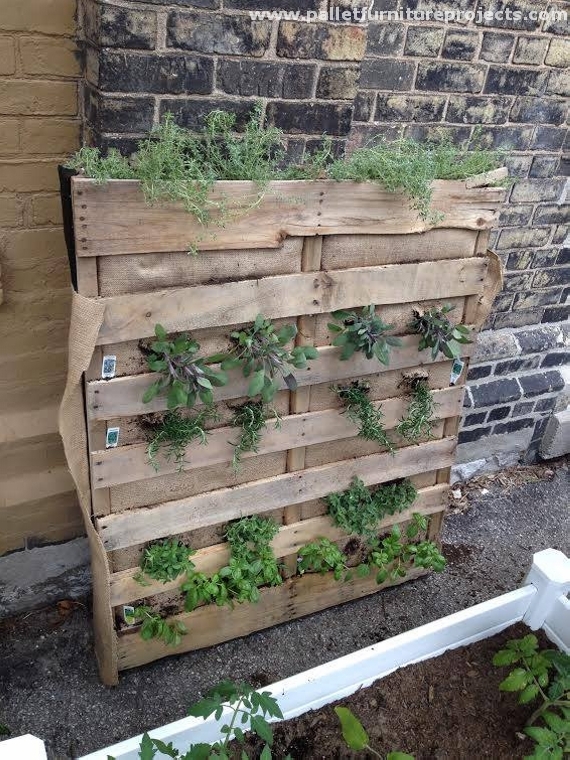 And let me tell you in advance that you are going to admire this herb garden idea due to multiple reasons. If you are a food lover then you would must be aware of the importance of various herbs that you can grow inside the house in such herb gardens. Because you would need some fresh basil for your pasta, and some rosemary for your focaccia bread, infact many of such dished need a touch of several chives. So making a herb garden has become an obligation if you are a true crafter and also a food lover as well. 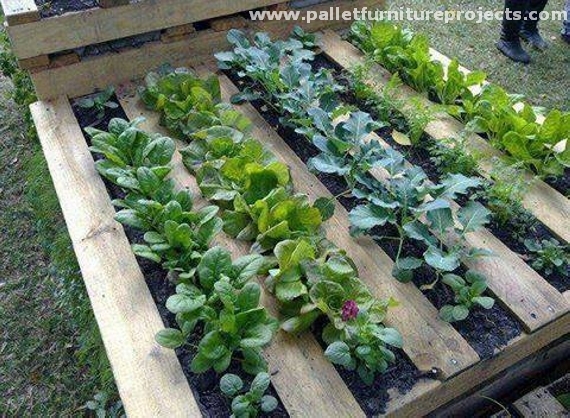 I hope working on this classic wooden pallet herb garden idea would give you complete satisfaction and the things would go accordingly. 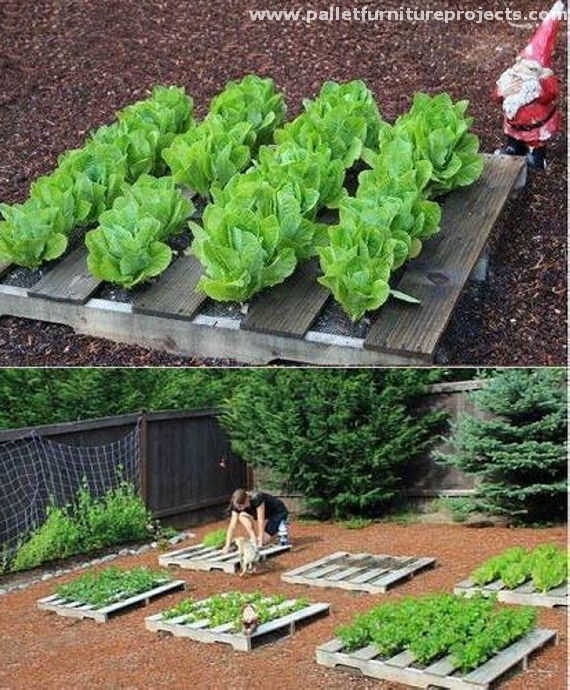 All that we have got to do is to collect a couple of some fresh wooden pallets. First you have to prepare them by sanding them very well. Now put a jute fibers made fabric inside the pallet wood so that the herbs do not cross over and fall out. 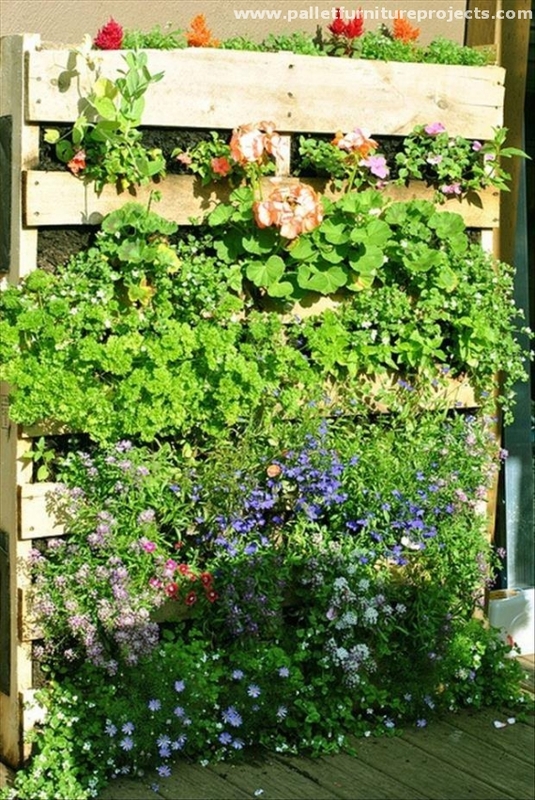 Fill in all the spaces with some high quality fresh soil, and the stage is set to plant several herbs that you wanted to grow in this wood pallet herb garden. You can plant multiple herbs at the same time without any pre conditions. Just be specific in the matters of water supply for each shrub separately.